Hospitals and other healthcare facilities face a difficult quandary when it comes to selecting environmental surfaces to accommodate patients, guests and staff: How do we make a beautiful space while considering healing, safety, cost, and durability of materials? Just as in other institutional settings, hospital construction must balance the need for safety and durability with aesthetics and cost and all products can become subject to value engineering. The Facility Guidelines Institute, a non-profit agency, maintains current guidelines for the design and construction of hospitals and healthcare facilities. There are an array of choices for each and every surface in a hospitals, each with its own costs and benefits. 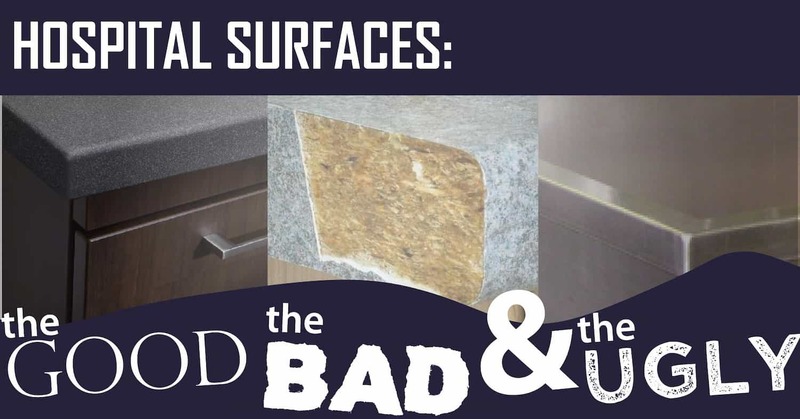 Today we'll explore what those surface material choices are and, with infection control a priority for all healthcare facilities, how hospitable they are to bacteria. We all experience the ickiness and inconvenience of biofilms every day. From slow drains to tooth plaque, biofilms surround us because bacteria surround us. 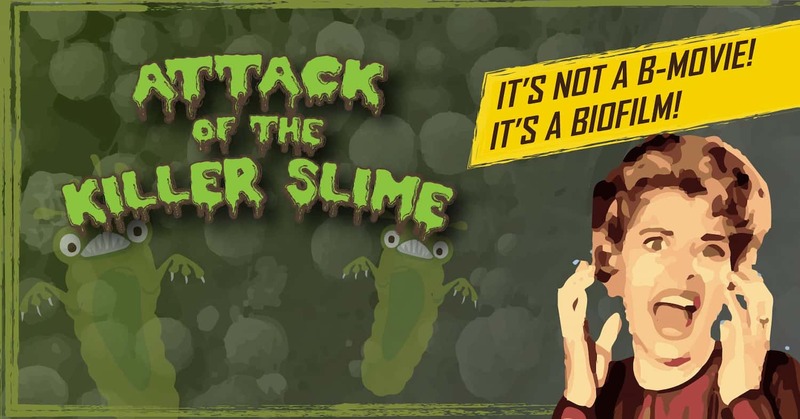 But take our everyday annoyance with biofilms such as a gunky sink pipe or teeth that need to be brushed twice daily and multiply that exponentially and you begin to have an idea of the horror biofilms present to industries and healthcare planet-wide. Today we'll explore the tenacious, intractible, just-as-likely-to-return-as-Jason nature of bacteria's number one weapon: biofilms. In our last post, we examined the three things required for bacteria to form a biofilm: Moisture, nutrients, and a surface. Once these biofilms become established, they begin to act in very creepy ways. 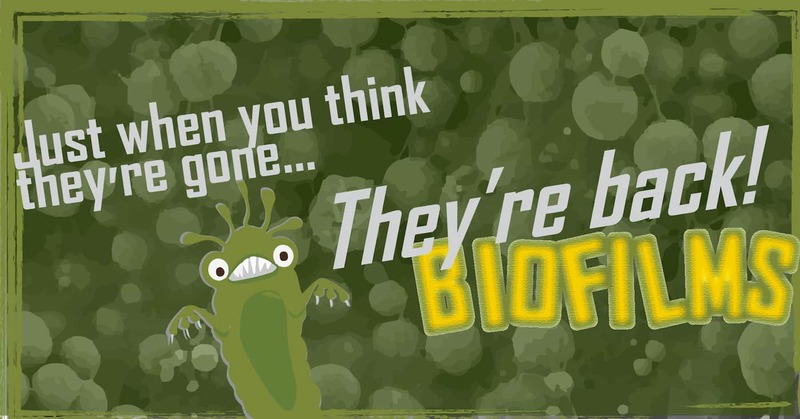 Today we'll look at some of the characteristics of biofilms that are the stuff of nightmares. Don't say we didn't warn you. Imagine a wandering nomadic tribe, toiling by day to find enough food to survive, sleeping only in short bursts in attempts to avoid predators. One day, exhausted by the energy required simply to continue to live, they happen upon a river. The small tribe finds this river well-populated with fish, and only a few steps away is a large cave. The group decides to stay long enough to fill their bellies and rest in the dark, cool safety of the cave. The next day the group is able to easily find enough food for everyone. They stay another night. One night becomes two. After a few days of safety, access to plentiful food, and a source of fresh water, the tribe begins to put down roots. Each family unit has set up in their own part of the cave. Duties are delegated and health and vitality begin to return to all the members. As the group grows, they are easily able to fight off any predators, and are even able to bring home larger beasts as they hunt together. Time goes by and the group is fully established next to their river. They expand to neighboring caves as the population grows, and even send a few adventurous groups up and down the river to set up their own homes.